Bali comes alive at night. Of course, some places are more happening than others, but the chances are that if you are staying in short term accommodation in one of the main tourist areas, there’ll be a number of great bars and clubs nearby. A lot of the best nightspots in Bali don’t really get going until around midnight. One tip for finding a great place to go is to ask the concierge at your accommodation about the best local nightspots. Kuta, Legian and Seminyak are the main hotspots. Jimbaran and the Bukit Peninsula are good for a more laid-back and luxurious experience. If you are in that area, your Jimbaran hotel is probably just a short stroll to some of the best spots. Much of the nightlife here happens outdoors, with rave beach parties being held on the shore to celebrate everything from Independence Day to New Year’s Eve. As when travelling to any destination, it’s important to know the culture of that place. Know how much to tip, what the nightlife is like and what is expected and acceptable behaviour. Drunken behaviour can land you in a load of trouble when you’re in Bali, so it pays to keep your wits about you and have a drink of mineral water in between each alcoholic beverage. 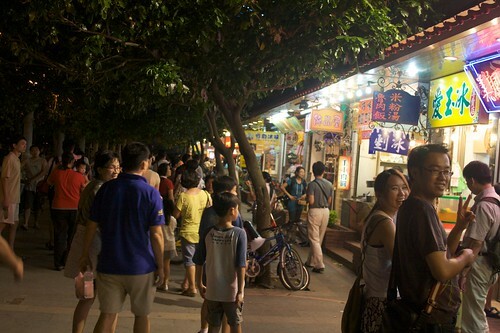 Tourists are often targeted at night and it’s common for pickpockets to take advantage of people who have had too much to drink. Be careful with your money, and steer well clear of anyone who you think is threatening. Try not to draw attention to the fact that you are a tourist, and that you probably have money to spend. Wearing your best gold earrings and bracelets will only attract the wrong sort of attention. You want to make sure you leave with as much jewellery as you arrived with. Sticking to the main areas is also important: If you taxi driver insists on taking you to a great club that involves driving away from the main area, alarm bells should go off immediately. It’s really important to know where you want to go before jumping in a cab. Also, if the meter of a cab is going out of control, don’t start abusing the driver. In Bali, many cab drivers are used to being abused by drunken tourists and will carry weapons in case anyone gives them trouble. Your best bet it to simply get out, without making a scene. Never party alone – it doesn’t matter where you are in the world, it’s never a good idea to party in a foreign place on your own. As soon as people know you are by yourself, you become a vulnerable target. Bali has some fantastic nightlife spots, whatever your taste is. But it’s important to not forget these important safety tips to ensure a memorable trip with nights out that are fun, fabulous and drama free.